WECHANGE was in attendance at EuropeLab 2017 in Gdansk, where Adam Bodnar, the Polish Commissioner for Human Rights, held the opening speech. 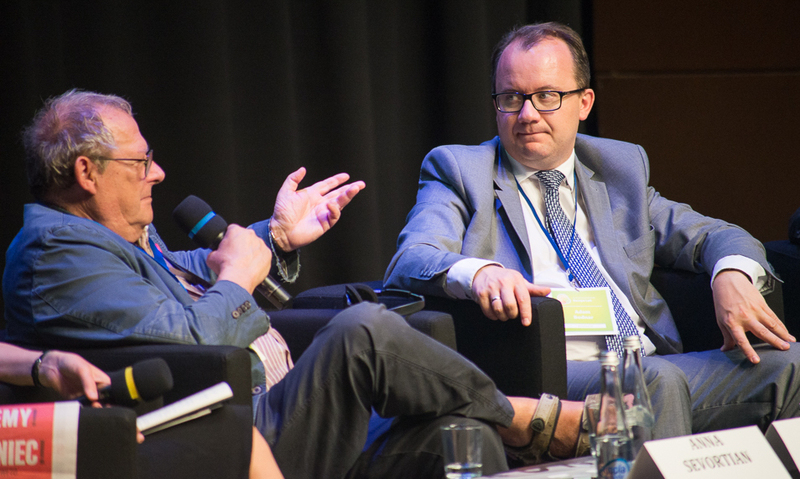 „These protests may change the future of Poland,“ says the Polish Commissioner for Human Rights, Adam Bodnar, speaking this week in Gdansk at EuropeLab, an event organised by EU-Russia Civil Society Forum. During his keynote speech, he underlined the imminent threat facing democracy in Poland. 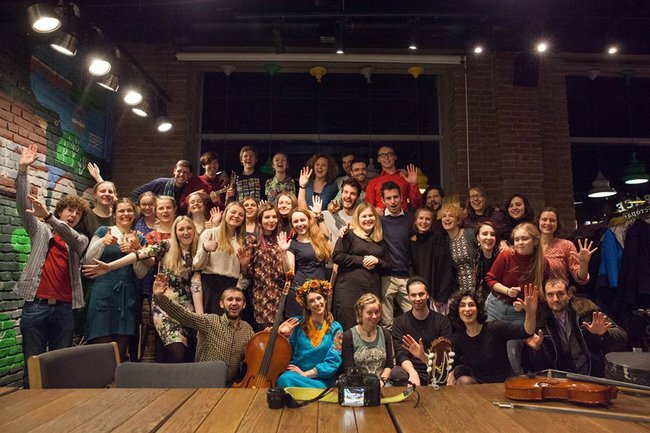 Bodnar was speaking at the opening of EuropeLab, an event bringing together young, civically engaged professionals from the EU and Russia. The meeting is taking place at the European Solidarity Centre, the state-of-the-art museum and cultural centre that commemorates the revolution of Solidarity in Poland and promotes the democratic values embodied by the historical movement. Since then, the government’s plans have been met with resistance from the population. In recent weeks, there have been protests in over 150 towns and cities across the country, with citizens voicing their outrage at the perceived assault on the rule of law and their civil liberties. These mass protests have already played a crucial role in hindering the government’s reform program, most recently leading to President Andrzej Duda to veto two of the three proposed justice reform bills. Bodnar, formerly of the Helsinki Foundation for Human Rights, argued that during the last few months, the climate in Polish civil society has changed. Protests in their various forms are becoming increasingly important and ever more diverse. Crucially, the demographic of the protest movements has begun to shift and, according to Bodnar, it is no longer just the middle-aged „40 plus“ section of the population who are predominantly taking to the streets, but the younger generation is increasingly joining them too. A promising sign in Bodnar’s eyes. 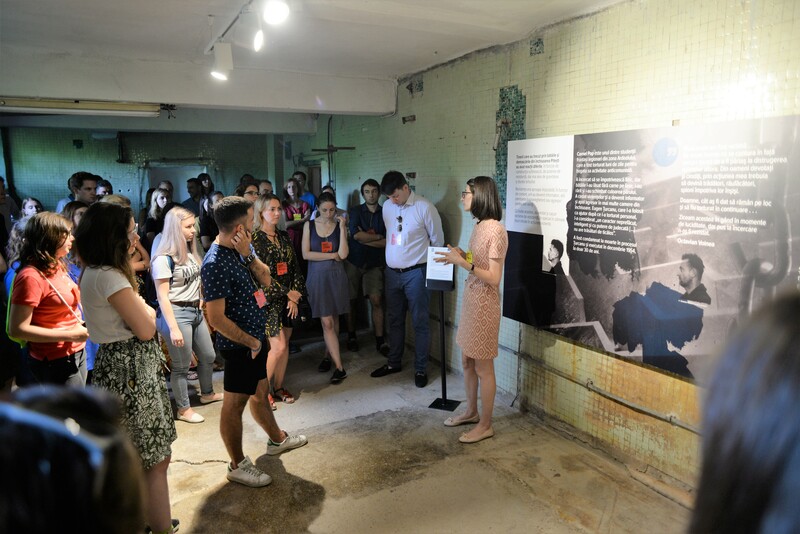 The Commissioner for Human Rights was keen to note that, whilst this was not planned, EuropeLab was taking place „at a very special moment in time for Polish history“. Bodnar was keen to emphasise the role civil society has to play in a successful democracy, not only by affecting change directly, but by setting a courageous example for those within legislative and governing bodies. More insights from the Europelab? Check https://wechange.de/group/europelab-2017/microsite/ including a Twitter-Feed with all the insights. Cooking in Siberia and Tanzania or sailing the Baltic Sea? WECHANGE empowering non-formal education projects around the globe and not only! A young international team will sail Kiel-Kaliningrad-Stockholm together in summer of 2017 and another group of young people just spent three weeks touring around in Tanzania in a mobile kitchen. When you hear about these kind of projects, you could already assume that this might have something to do with a NGO called INTERRA, located in Krasnoyarsk, in Russian Siberia. 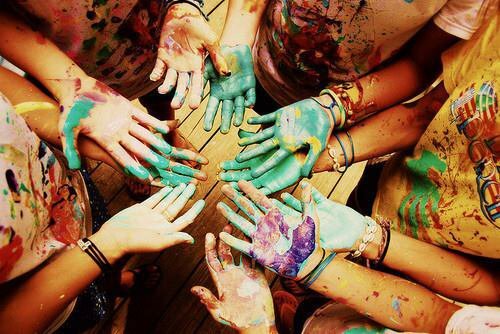 INTERRA focuses on cultural exchange, sustainable development and non-formal education. All different projects follow the conviction that educational and cultural cooperation is the key tool for transforming the society. INTERRA’s team consists of five employees, interns and EVS volunteers. One of their last projects – “Critical Kitchen” – studied the links between food supply and climate change with German and Tanzanian partners. The “study” took place – yes, you guessed correctly! – while touring around Tanzania in a mobile kitchen. 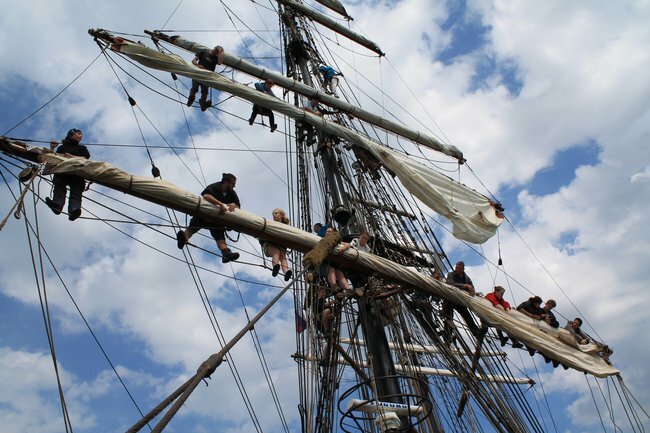 Another project that definitely fulfills the criteria of non-formal education is the project “Veter i Volny” (Wind and Waves”) – a Russian-German adventure project where a young international team will sail Kiel-Kaliningrad-Stockholm together. So what has sailing the Baltic Sea in common with the online platform WECHANGE? INTERRA’s team uses the WECHANGE platform increasingly not only in different project management processes with international partners but also in its everyday work in their Krasnoyarsk office. Elena Bobrovskaya, the director of INTERRA, tells that due to numerous international projects of INTERRA, the team needs to travel a lot and thus the employees, interns and volunteers depend on a common platform for coordinating tasks and responsibilities. In their experience the platform is extremely helpful for giving overview to new team members and helping them to orientate within the ’jungle‘ of different tasks, deadlines, persons in charge and info material. It also enables the team to choose which information and files shall be accessible to whom and helps them to create (more) structure into their work. So here you go… Your project management on the WECHANGE platform might suddenly end up on a sailing boat in the Baltic Sea. Could be worse! New bags out of recycled old fabrics, the Fair of Ecological Opportunities and Social Entrepreneurship or planting trees in a village Riscova? This kind of variety of projects can probably only be found in EcoVisio in Moldova. The vision of Moldova’s green, ecologically and socially sustainable future and its potential as a leading country for organic farming in the next decades is the common thread and motivation for various projects of EcoVisio. The interdisciplinary team of EcoVisio has 15 active team members and numerous volunteers and supporters that all carry the soul of this grassroots NGO. EcoVisio brings together different initiatives and active citizens and thus enables everybody to find their right spot in the wide range of EcoVisio’s projects: reaching from active citizenship and civic engagement to empowerment and environmental action. Some active members are right now in the process of establishing one of the first eco-villages in Moldova. Another intended project is the construction of EcoVisio’s Environmental Training Centre where fundraising campaigns have already started. 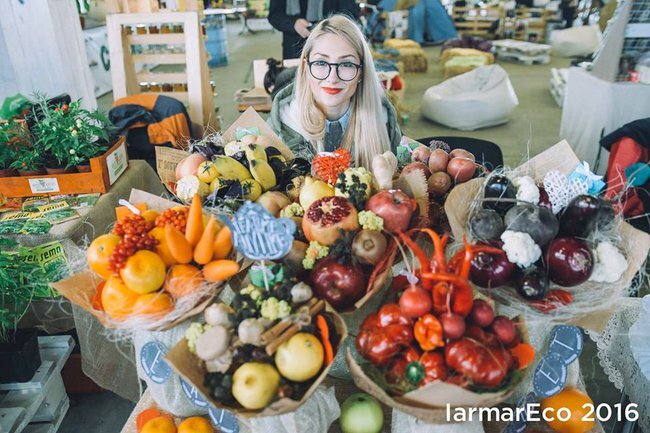 Last – but not the least – is a beautiful and inspiring regional market IarmarEco – Fair of Ecological Opportunities and Social Entrepreneurship – which brings together organic food producers, consumers and interested eco-community from the whole region. This year IarmerEco took place for the 4th time. It had over 600 visitors and presented 75 local NGOs and entrepreneurs. For the first time it lasted two days: the first day was dedicated to educational workshops, presentations of participating initiatives as well as to networking and the second day for the fair itself. 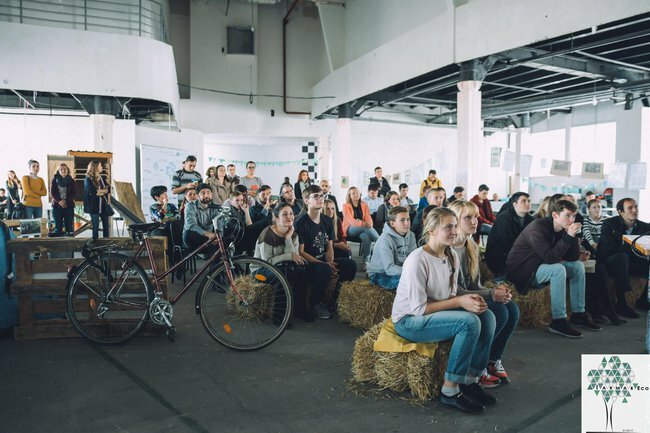 Julian Gröger, one of the co-founders of EcoVisio, is convinced that this kind of regional event which attracts the whole eco-community together once a year is extremely useful in Eastern Europe. 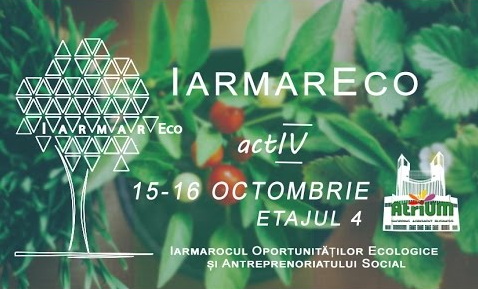 This year IarmarEco also organized an additional eco-village stay after the market for 15 interested persons out of 10 countries. Participants discussed different opportunities on how to pursue social entrepreneurship in their regions and analyzed various ways of how to make the region profit more out of it. We cannot wait to hear more about Ecovisio’s projects and we hope they continue “greening” Moldova with the same motivation and passion as they have done so far! 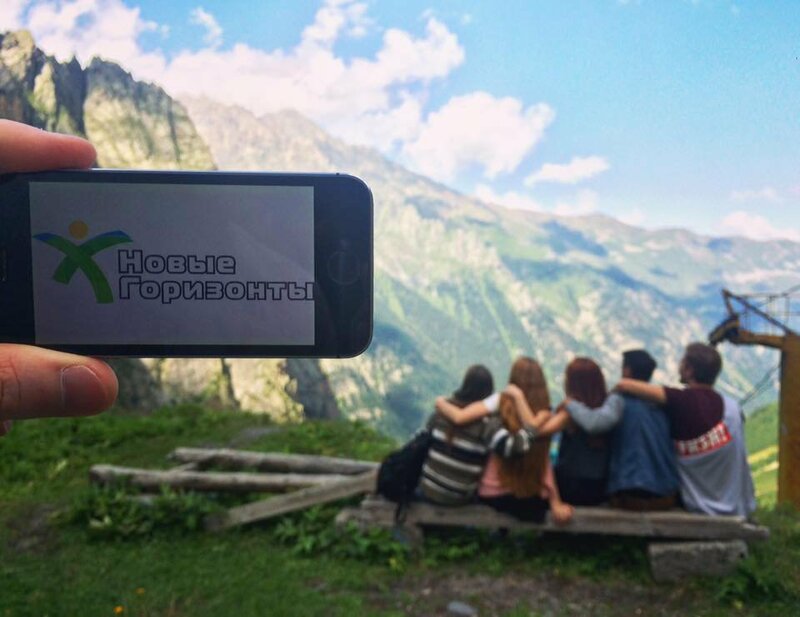 The project addresses different age groups from Russia’s Northern Caucasus region where it is essential to invest more into young people’s abilities in overcoming ethnical and religious boundaries. Northern Caucasus inhabitants are either Muslim or Orthodox and, in addition to that, mostly also mono-ethnic. People have been suffering under frozen conflicts since the beginning of the 1990s. New Horizons offers the youth of all these different regions a neutral ground for mutual coaching, project planning and implementation process. Additionally, New Horizons promotes intersectoral cooperation. In Russia, this is even more necessary due to the rather ambivalent legal status and image of NGOs. 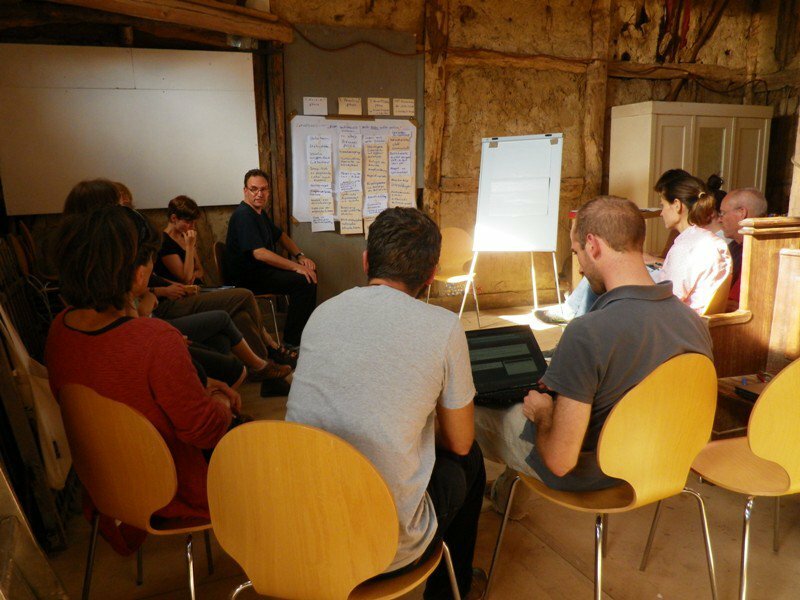 Within the project youth interested in volunteer activism received workshops on capacity building and project design and management. For improving their own project management New Horizons’ organizers use WECHANGE. The platform has been made accessible for citizens from Russian and Eastern Partnership countries thanks to the German Federal Foreign Office. Sophia Shakirova, one of the project coordinators, is convinced that the program contributes a lot to the regional development when promoting intercultural and interreligious dialogue as well as non-violent communication between young people of different age and of different regions. All wonderful ideas of the 2016 New Horizons‘ project applications received funding this year. We cannot wait for the future ideas and projects! In der Akademie für Suffizienz geht es um einen neu zu entdeckenden Reichtum, der aus dem eigenen Handeln erwächst und aus dem Umgang mit dem, was die Region anbietet. Also nicht um Grenzen oder Verzicht. Der Umgang mit diesem Reichtum erfordert und aktiviert Wissen über Zusammenhänge im Nahraum und Fähigkeiten der Sorge für sich und andere. Menschen sind in die Akademie eingeladen, um Wissen und Können aufzunehmen, anzuwenden und weiterzugeben. Hier gibt es Raum, Zeit und Anlass, um vorzudenken, sich auszutauschen und verfestigte Denkfiguren und Bilder vom Wirtschaften zu hinterfragen. Alltägliche Erfordernisse, wie Essen produzieren und Wärme erzeugen, bieten Gelegenheit, alte und neue Techniken kennenzulernen, anzuwenden und für eigene Zwecke zu modifizieren. Der Umgang mit Materialien und benötigten Werkzeugen sowie ihre Wartung werden gelernt und geübt. Basis dieser Erfahrungen ist die ökonomische Organisation der Akademie selbst: Der Aufbau erfolgt jenseits von Verwertungsdruck aus vorhandenen und vorbehaltlos eingebrachten Ressourcen. Die Nutzung ist nicht an feste Konditionen geknüpft – NutzerInnen entscheiden gemeinsam, was sie zum Erhalt beitragen. 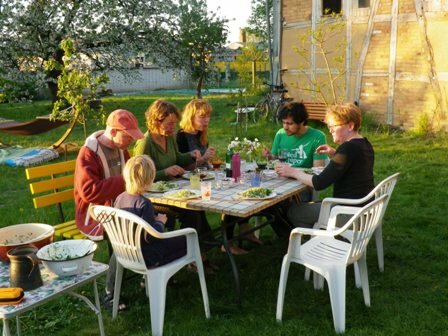 Verfügbar sind Übernachtungsmöglichkeiten, Gruppenräume, eine Selbstversorgerküche, verschiedene Werkstätten, Freiraum, landwirtschaftliche Versuchsfelder, Obst- und Beerengarten.